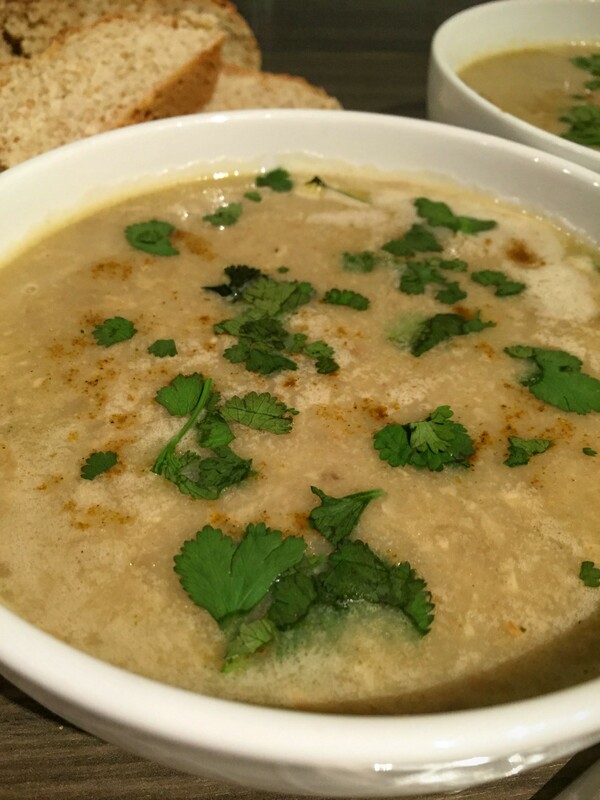 My friends over the pond are brilliant at grabbing recipes that I will love and my good friend Ady sent me this one from Dara over at Cookin’ Canuck for her Vegan Cream of Curry Mushroom Soup and I just had to try it! So into the meal plan it went and I got to cooking it on a decidedly chilly summer Monday evening. I served with some freshly chopped coriander and a loaf of brown Super Quick Bread. I also used home ground curry powder as I like to make it fresh to the balance that we like too. I have to say that this is a really delicious soup and one that I will be coming back to again and again in the future. Especially in the autumn when lots of different mushrooms are about in season. The following recipe is adapted from Dara’s with my twists, plus I have posted it in UK measurements for ease. 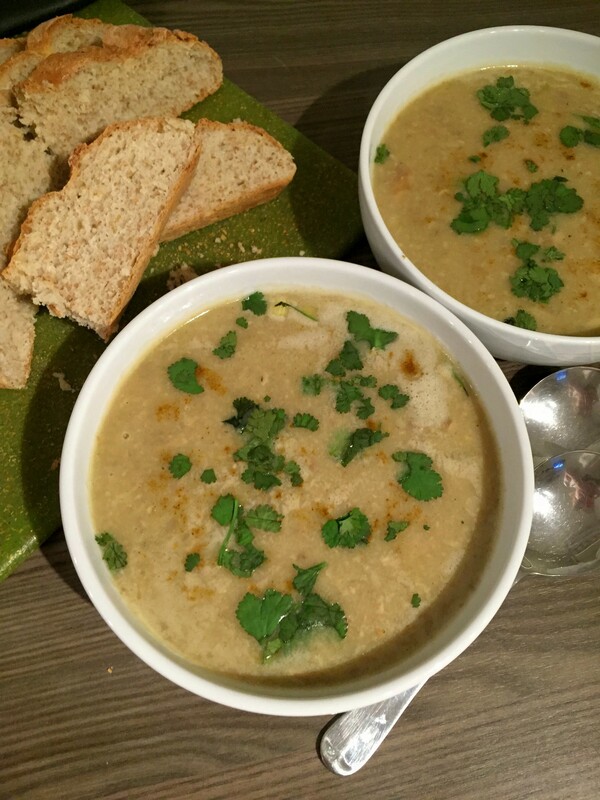 I thoroughly enjoyed making and eating this vegan creamy curry mushroom soup – the curry and the coconut work so well with the mushrooms and make for a delicious combination with the fresh coriander. What is your favourite soup? Do you like it with hot fresh bread? <span></span>An adapted version of the Cookin' Canuck's Vegan Cream of Curry Soup with my usual Susty Meals twists and with UK measurements. 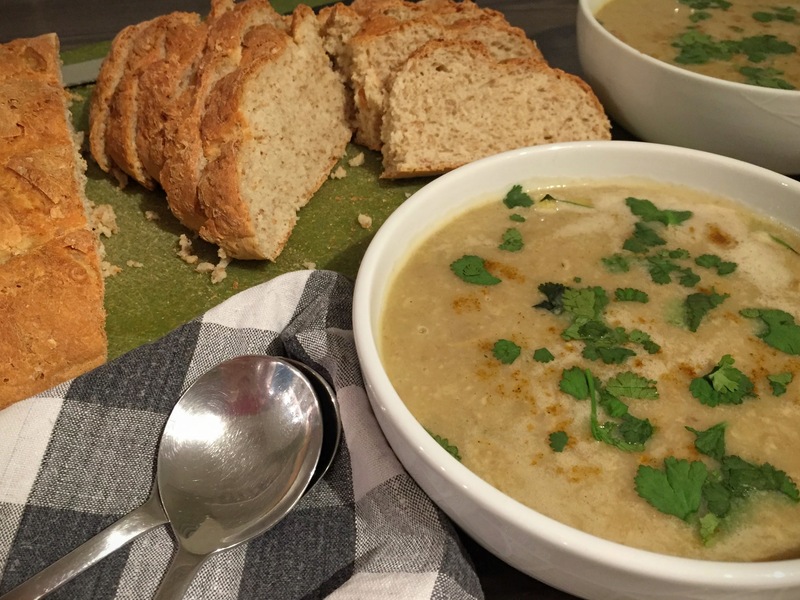 A perfectly creamy and warming vegan soup that everyone can enjoy. Perfect with mySuper Quick Bread.